We love discovering indie footwear brands, especially in various price ranges. For example, we just came across this awesome boots from a California-based brand that's very new to us. 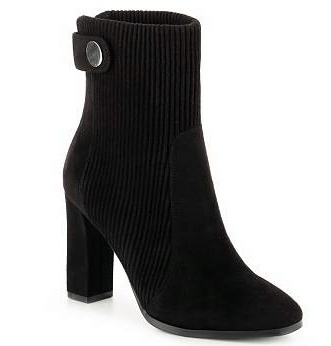 With a style that looks as cozy as a finely ribbed knit sweater and as cool as a moto-styled jacket, the Impo Footwear Olene Bootie is a sleek and chic stretch bootie perfect for the fall season. 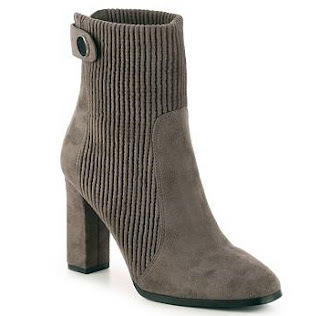 It features a faux suede upper, textured stretch construction, back zipper with strap with snap button closure, square-ish toe, and a 3 1/4" faux suede covered block heel with a non-skid outsole. Available in Black or Smoky Taupe, the Olene Bootie can be yours for only $59.90 on www.impo.com.